We are all familiar with the uncomfortable feeling of a pushy sales person trying to get you to sign up for the bonus rewards card at checkout even though you have clearly stated you are not interested. On the other side, there are also times where you are offered a better product or different package you did not know you needed and the cost difference feels totally valid. How do brands foster more of the latter experience and provide upsells at the proper moments? Airline companies are full of upgrade opportunities and every traveler is offered some form of upsell during the ticket checkout process. The travel industry actually has the highest cart abandonment rate and an ill-placed offer could be the difference between a visitor checking out or simply leaving the site altogether. In order to ensure that the visitor is tempted by the offer, the upgrade needs to be presented at the exact fitting moment. But when is the right time to offer an upgraded seat? Does it differ by type of traveler, device type, or time of day? 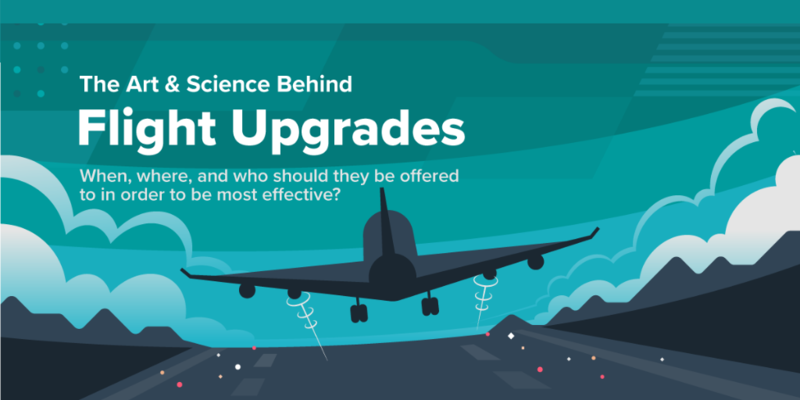 The answer is yes and luckily, Quantum Metric has compiled these insights into a handy travel upgrade focused infographic! Pulling from our unique data on the travel industry, our Head of Behavioral and Digital Experience analyzed the various facets that affect upgrades and noted the key takeaways you see below. Checkout a preview of our travel focused demo here.